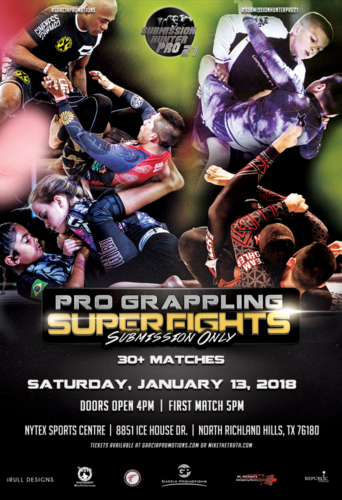 The Submission Hunter Pro series kicks off 2018 in Dallas, TX with Submission Hunter Pro 21. The event takes place on January 13 at the NYTEX Center in North Richland Hills. The card features some of the top grapplers in their respective divisions, including UFC flyweight, Montana De La Rosa. Check out the remainder of the card below. Make sure to purchase your tickets here at MikeTheTruth.com, select your favorite grappler so they get credit.